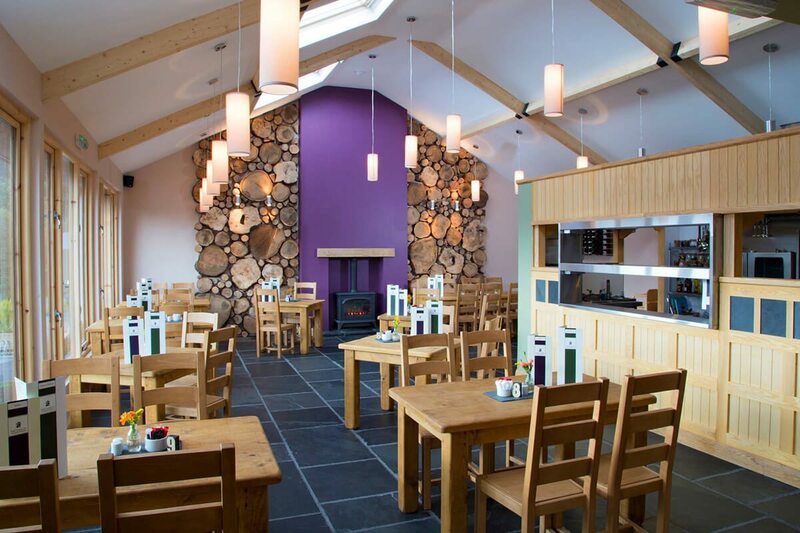 The Chalet Tearooms – Keswick Launch Co. The Chalet is situated in Portinscale. They are open for hearty Cumbrian breakfast or unique chalet Austrian breakfasts, lunch with classic and artisan fair, afternoon teas, handmade tray bakes and cakes from their all day bakery. Try a hot chocolate with rum and whipped cream after a long walk around Derwentwater or a hike over Catbells. Or a cold glass of wine or beer from their fully licensed bar. The Chalet welcomes ramblers, dogs, C2C riders stopping off for a well earned break or if you just want a tasty lunch, snack, pizza or a hotpot of mussels there’s something for everyone at the Chalet tearooms. Stop at Nichol End. 5 mins walk from jetty. Stop at Lingholm. 20 mins walk from jetty. Stop at Hawes End. 45 mins walk from jetty. Stunning views over the lake from Portinscale. Tea, cakes and freshly prepared meals. Enjoy lunch and dinner in the Restaurant, or afternoon tea in the Lake View Lounge Bar.